Got sore tired muscles? 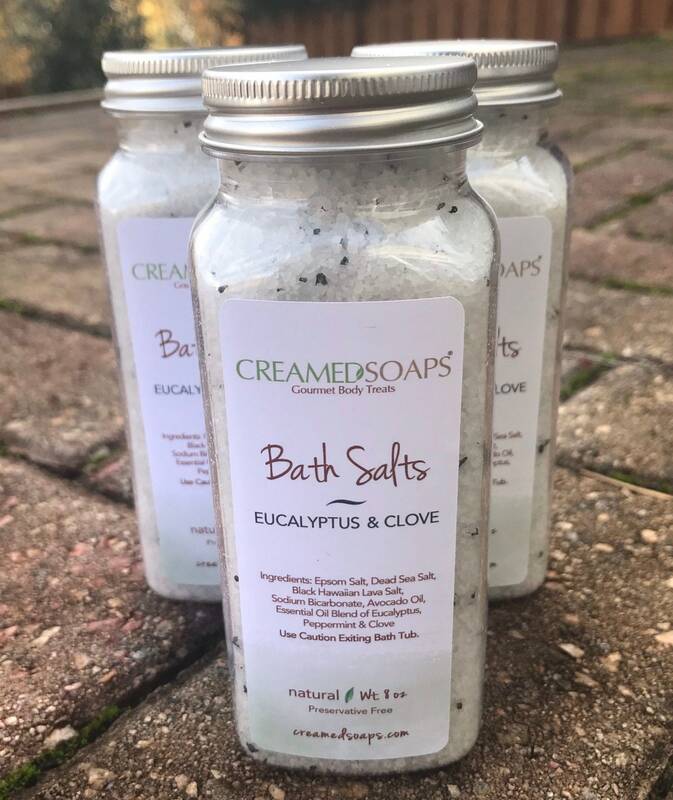 Our "Eucalyptus & Clove" Bath Salts were created with you in mind! This blend of Epsom Salts & Dead Sea Salts are sure to provide relief! Our essential oil blend of Eucalyptus, Peppermint & Clove is sure to be a hit with everyone...from the Athlete to the Stay At Home Mom! Epsom Salts, Dead Sea Salts, Black Hawaiian Lava Salt and Sodium Bicarbonate are blended with Avocado Oil for moisture and then scented with a unique essential oil blend sure to offer relaxation!